Frederick enlisted on 16th January 1912. He was 19 years and 5 months old, and was a Gardener by trade. He entered the war in France on 14th August 1914, as part of the 4th Bn. Middlesex Regiment, Regimental Medical Officer's team. From his service record he appears to have received a gunshot wound to his right lung whilst in action with 4th Middlesex in 1914, and also received a gun shot wound to the chest when in action on 28th May 1917. 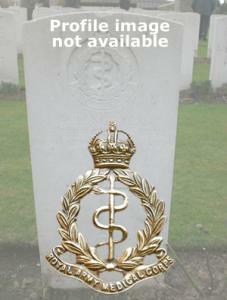 He was discharged on 12th August 1918 due to wounds. He son of Alfred Knight.